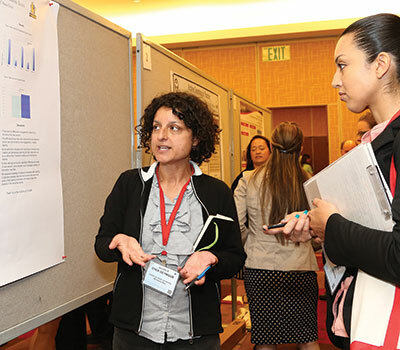 Over 4,300 people attended the 2014 APS Convention in San Francisco, May 22–25. Browse these photos to relive the fun to or see what happened at the meeting if you were not able to attend. 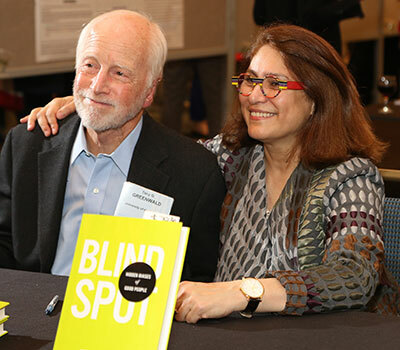 APS William James Fellow Anthony G. Greenwald joins APS Past President Mahzarin Banaji to sign copies of their book, Blind Spot: Hidden Biases of Good People. 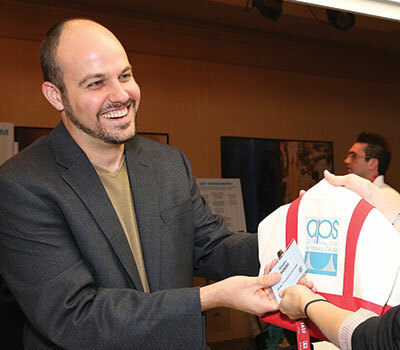 Dustin Wood of Wake Forest University picks up his tote bag at the registration counter. 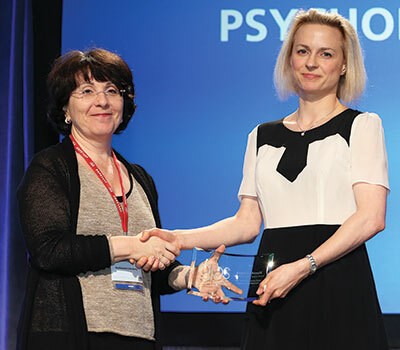 APS Board Member Lisa Feldman Barrett presents Angelica Ronald, Birkbeck, University of London, with an APS Janet Taylor Spence Award. 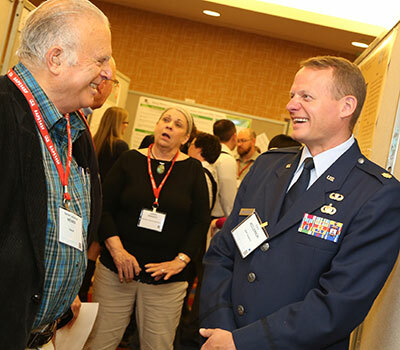 Chris McClernon of the United States Air Force Academy (right) discusses multidisciplinary research on stress and teaching with Herbert Jonathan Weiner. 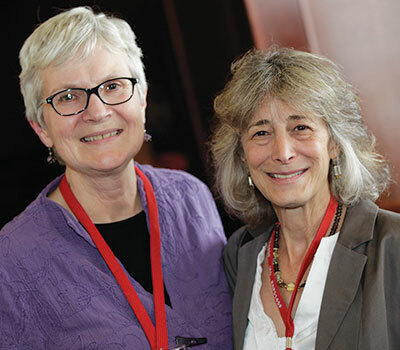 APS Fellow Patricia H. Miller, San Francisco State University, and incoming APS President Nancy Eisenberg, Arizona State University, attend a special reception for developmental psychologists. 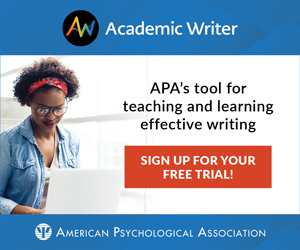 Claude M. Steele, a past APS Board Member, signs copies of his book, Whistling Vivaldi: How Stereotypes Affect Us and What We Can Do. 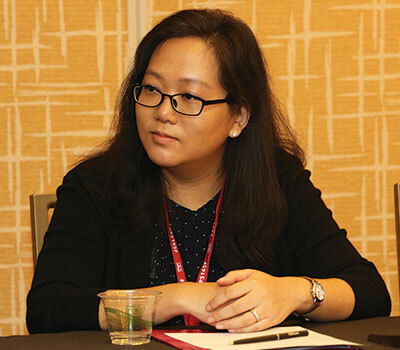 Kayoung Kim, Texas A&M University, advises prospective graduate students about the admissions process at an APS Student Caucus “Naked Truth” event. 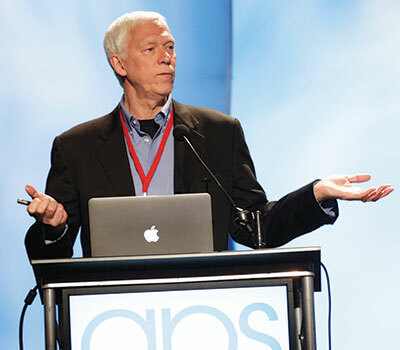 Terry E. Robinson, University of Michigan, delivers his William James Fellow Award Address. 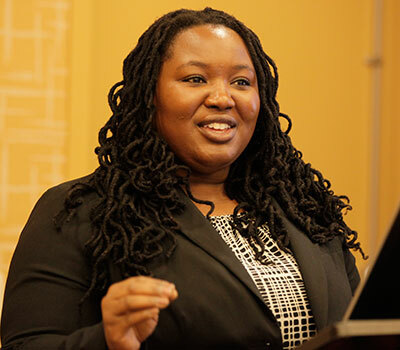 Jennifer R. Dyer-Seymour of California State University, Monterey Bay, presents her research. 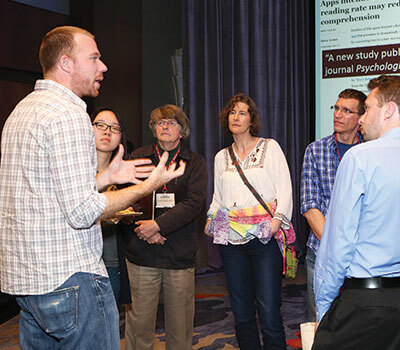 Memory athlete Nelson Dellis draws a crowd after his Bring the Family Address presentation.